It is A Very Pumpkin Birthday, folks! :) Yes, my very good blogging buddy, my long time partner in crime for the Spiked! 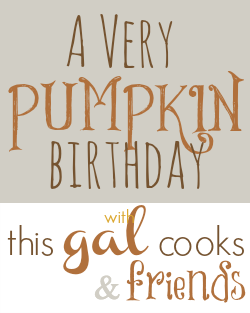 Recipe Challenge and Marvelous Mondays Link Party is celebrating her birthday today pumpkin style. Be sure you all pop over to This Gal Cooks today and wish Julie a very happy birthday! One of the seasonal favorites I look forward to each fall is the release of the Pumpkin Pie Blizzard from Dairy Queen. Just like many folks count down the days until they can order a Pumpkin Spice Latte at Starbucks, I start a countdown in my head each fall until I can order one of my favorite frozen fall treats. While this wasn't exactly as good as a the DQ version, it did come exceptionally close. The only thing I would have done differently with this recipe was use coconut milk instead of the regular milk. And I know better. I know the coconut milk gives my homemade ice cream a creaminess I can't get using regular milk. In large bowl, beat together all of the ingredients except for the chopped vanilla wafers. Beat 3-5 minutes until the mixture is nice and creamy. Pour the ice cream base into a freezer safe container and freeze for 2 hours. Remove the ice cream from the freezer after 2 hours, and give it a stir with a rubber spatula. Be sure to scrape down the sides and bottom. Mix in the chopped vanilla wafers, cover, and then return to the freezer. Take the ice cream out once more after another 1-2 hours of freezing and stir again. Freeze at least more 4 more hours, preferably overnight. 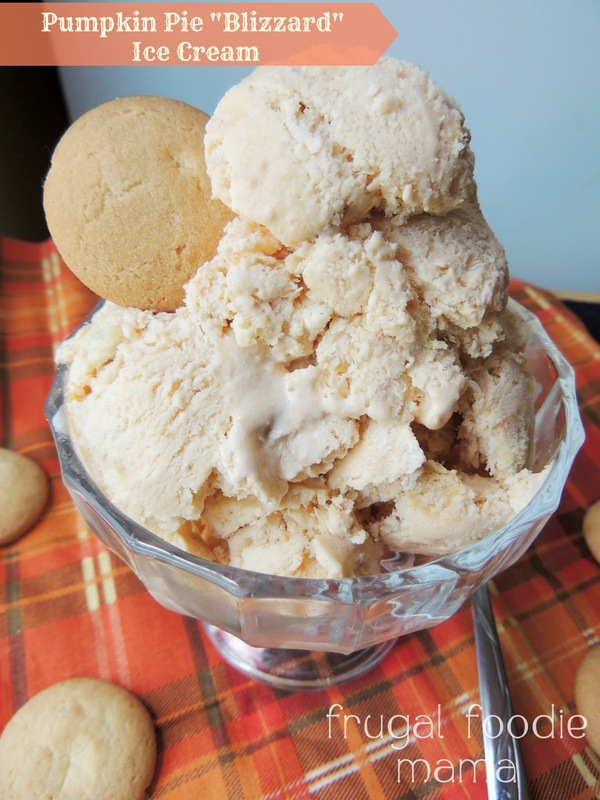 Since homemade ice cream freezes much harder than the store bought variety, allow the ice cream to sit out for at least 15 minutes before serving. Scoop out your servings and top with additional whipped topping and a sprinkle of cinnamon, if you desire. What is the one fall favorite from a restaurant or your favorite shop that you cannot wait for each autumn?